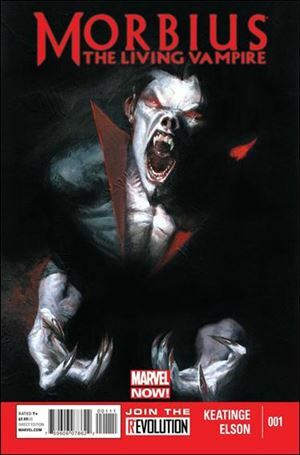 Created by writer Roy Thomas and artist Gil Kane, Morbius first debuted in October 1971 in Amazing Spider-Man #101. Dr. Michael Morbius is a Nobel Prize-winning scientist who attempted to create a cure for his own rare blood disease using vampires. Instead of finding a cure, Morbius turned himself into a vampire-like figure who needed to consume blood to continue living. Morbius started as an antagonist to Spider-Man, but would eventually go on to have a heroic career of his own for a time. The antihero even headlined his own ongoing series in 2013 from Marvel Comics. Sony has two Spider-Man spinoffs slated for release in 2018. Venom, starring Tom Hardy and written by Jeff Pinkner and Scott Rosenberg, is expected to hit theaters on Oct. 5, 2018. Silver & Black (starring Silver Sable and Black Cat) is directed by Gina Prince-Bythewood, and also has an October 2018 release date.